The Air Force has announced that an experimental spaceship that looks and acts like a miniature, unmanned space shuttle – riding the back of a rocket into space then returning to Earth to land in California. 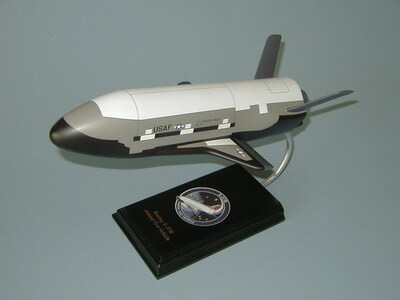 How long the mission will last, what it hopes to accomplish, and what, exactly, the X-37B Orbital Test Vehicle is designed to do are all mysteries. Wingspan 7 1/2 inches, Length 13 1/2 inches.